The fourth edition of Who Was Who in Egyptology, the first new edition of this important work since 1995, is now in press and will be available by the end of June. 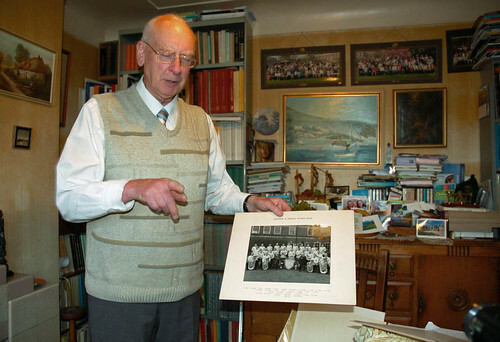 The Editor, Dr Morris Bierbrier, has become a fixture at Doughty Mews over the last couple of years, adding a vast amount of new information, many entirely new entries, and significantly more photographs. The new volume is exactly 600 pages long – a substantial increase on the last edition. Having been responsible for the production editing (and hence the volume’s appearance a little later than originally planned – see below) I am absolutely delighted that Morris’ efforts are finally coming to fruition, and had a bit of fun producing the short film below in celebration. Short film including a time-lapse portrait of the Editor, Dr Morris Bierbrier, at work during the preparation of the new edition and a selection of the newly added photos. When I first proposed the new edition to the board of Trustees in 2008 we were trying to reduce costs in all areas in response to the withdrawal of the British Academy grant (see below). The Board agreed to go ahead however on the basis that print costs would be recovered through sales, which we felt were likely to be good – as I hope turns out to be the case! – and that production costs would be minimal, as I would scan all the images and set the volume to page myself in my spare time. This is the kind of thing I enjoy doing(!) and the scanning and consequent creation of a digital archive of Egyptologists’ portraits was very much in-line with our existing digitisation work, and potentially of great use. The only downside to this arrangement was that, in the event, it was difficult for me to find as much spare time as I had hoped I would to do all this (perhaps predictably). This has led to the volume appearing later than I had originally hoped (see this announcement from 2008) but I like to think it will be well worth the wait nonetheless! 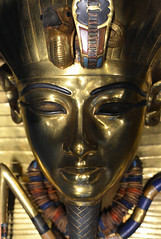 In late 2008, when it first decided to publish a fourth edition of Who Was Who in Egyptology, the Egypt Exploration Society was undergoing a series of changes brought about initially by the withdrawal of British Academy funding, but also by a new Charities Act – the law governing the way that charities such as the EES operate – and a need for modernisation in general. This was the latest chapter in the history of the EES, which in 2012 celebrates its 130th anniversary. The Society, and those associated with it, has in that time made an enormous contribution to Egyptology. It has a glorious history of its own and it is appropriate therefore that the EES should be the publisher of Who Was Who, the definitive reference tool for anyone studying, or interested in, the people who have shaped our subject. 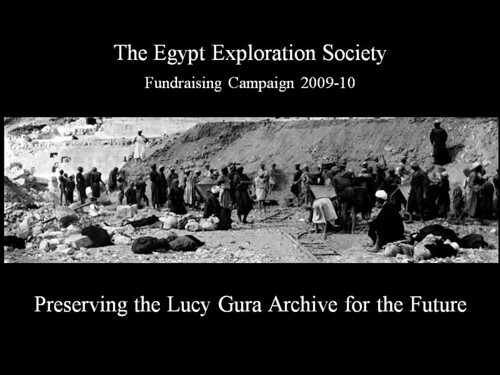 Two of the most important of the Society’s assets have been given much attention as a result of the recent changes, and are well represented in this book: The Lucy Gura Archive (and not least the photographs it contains) and the Society’s own rich history of contribution to Egyptology and archaeology in Egypt. The recognition of the importance of these assets was a significant step, offering the Society the opportunity to capitalise on the growing popularity of the history of the subject, and thereby to engage with new audiences, engender a spirit of pride in the institution’s history among members, and raise awareness of its most significant achievements. The Academy’s abandonment of the model by which the EES and other organisations like it could apply for a ‘block grant’ to support its research activities caused the Society to think hard about what it wanted to do and how it could find the funds to achieve its aims. In many ways, this meant re-focussing on the fundraising and public engagement to which Amelia Edwards had devoted so much of her energies, and without which the Society could never have been created. In 2008 the Society ran a campaign inviting members to provide the necessary financial support for a series of small-scale, sharply focussed research endeavours, fittingly named the ‘Amelia Edwards Projects’. Initially, this was an experiment: we wanted to know whether our already very generous members would be able and willing to provide us with additional funds, and also what kinds of projects they might be prepared to support. In addition to two traditional field research projects, members were invited to support a new ‘Oral History of Egyptology’ project. The proposal was to conduct interviews with senior Egyptologists in the U.K., recording their memories of life and work in Egypt, of the social, political and economic conditions which have shaped that work, and of colleagues, including, in some cases, some of the great figures who appear in this book. Fortunately, and most encouragingly, the project received the required support and, since 2008, conversations have been recorded with Kenneth Kitchen, H. S. Smith, Eric Uphill, Jessie Aldred (wife of the late Cyril Aldred) and Robert Anderson. A series of interviews conducted by Rosalind Janssen in the 1990s have also been converted to digital format and the entire collection now forms a part of a digital archive. Excerpts from the interviews have been made available online (see here and below) and it is hoped that the project will continue for many years to come. 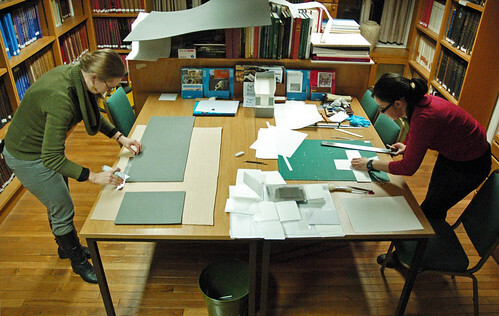 Following the successful launch of the ‘Oral History’ and other ‘Amelia Edwards Projects’, and encouraged by the tremendous response to the 2008 campaign, it was decided that a second fundraising campaign, in 2009, should focus on a single objective: the ambitious programme of digitising and re-housing the material in the Lucy Gura Archive. The Archive was named after the late Lucy Gura, an enthusiastic EES member who died before her time, in recognition of a very generous donation made by her family which was used to begin the digitisation. In 2007 approximately 15,000 glass negatives taken in the field by the Society’s excavators between 1883 and the outbreak of World War II, were scanned, creating a back-up, and immediately making the collection more accessible to staff and researchers. Since then many of these photographs have appeared in the Society’s print publications and online, and staff can deal with researchers’ image requests far more quickly than previously. The purchase of a high quality photo scanner in 2008 allowed the digitisation to continue, smaller groups of material being selected according to researchers’ needs. The Society’s scanning equipment and an image from the tomb of Maya & Meryt which was digitised in preparation for final publication of the decoration in this beautiful monument. 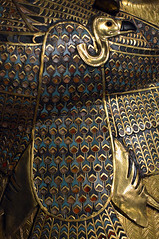 The campaign in 2009 represented a commitment on the Society’s part to ensuring the long-term preservation of the original material. 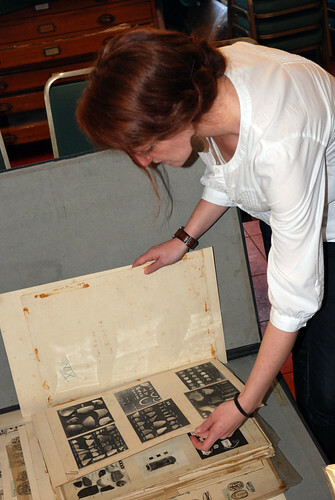 The money raised was initially used to pay for the compilation by Alice Williams of a catalogue of the material, which has allowed the collection to be searched more easily. 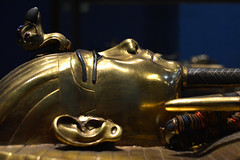 The records created will in due course be combined with existing indices of correspondence and photographs, and also the ‘distribution lists’ which record the objects excavated by the Society and divided to it by the Egyptian Antiquities Service for circulation to museums around the world. The Society’s intention is to make the catalogue and indices available online so that the entire collection can be searched remotely. Importantly, the catalogue has also provided a clearer idea of the scale of the task and a start has now been made on re-housing the most vulnerable parts of the collection. In 2011 a room, which had been Professor Ricardo Caminos’ kitchen while he still lived at no. 4 Doughty Mews, was refurbished, and work began on the thousands of photographs taken during the Society’s 1920s and 1930s work at Amarna and in the temple of Sety I at Abydos. Specialist conservators and students were brought in to undertake the work, re-packing the glass negatives in acid-free paper envelopes to be placed in sturdy, conservation-standard boxes (see more here). It is hoped that this will provide a model, demonstrating what can be achieved and helping the Society to raise further funds for this kind of work in future. All this work has, unsurprisingly, brought many interesting things to light, and resulted in the publication of a series of short articles, particularly online and in the recently revived EES Newsletter. These form a valuable complement to the entries in Who Was Who. One particularly interesting group of material is the film footage shot by John Pendlebury and co. at Amarna over the course of several seasons in the early 1930s. This material has also now been digitized and a series of excerpts made available online (here and below), including some which show the people involved in the work, several of whom, including Pendlebury, Mary Chubb, H. W. Fairman, Ralph Lavers, and Hilary Waddington, are included in the new edition. 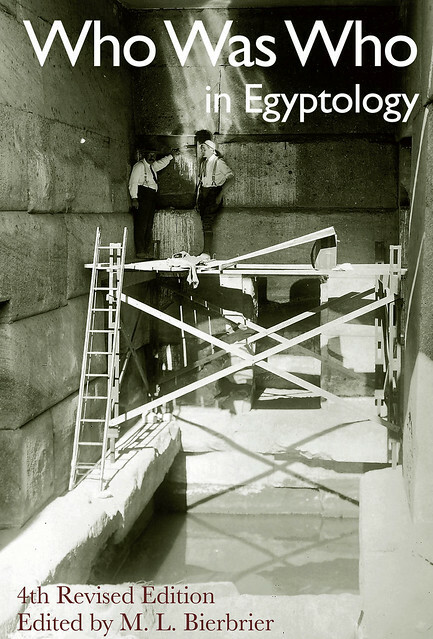 Dr Bierbrier’s work in producing this volume is part of the Society’s wider efforts to study and raise awareness of the history of Egyptology, and in part a reflection of its own contribution to, and place within, the subject. We hope the much-expanded fourth edition of Who Was Who will consolidate its status as a fitting tribute to the collective achievements of those who have striven to improve understanding of Egypt’s history, and an indispensable resource for anyone studying it.